Tunisia’s Minister of Industry said in Tripoli Sunday that Tunis Air flights to Tripoli would resume at the end of this month (Photo: PC). Tunis Air is to resume its flights to Tripoli at the end of this month. The announcement was made by Tunisia’s Minister of Industry Salim al-Feriani to the media in Tripoli on Sunday. Feriani made the announcement following his meeting with Libya’s Presidential Council Deputy Ahmed Maetig after leading a 70-strong business delegation to the Libyan-Tunisian Economic Forum, held in Tripoli on Thursday. At the Forum, Feriani said that he expected Libyan-Tunisian trade to reach US$ 3 bn by 2020 having fallen from US$ 2 bn to US$ 1 bn since Libya’s 2011 revolution. He praised the deep Libyan-Tunisian relations and stressed that the visit was part of the promotion of cooperation between the two countries in various fields in order to create a powerful economic body and a gateway for investors from the rest of the world into Africa through Libya and Tunisia. 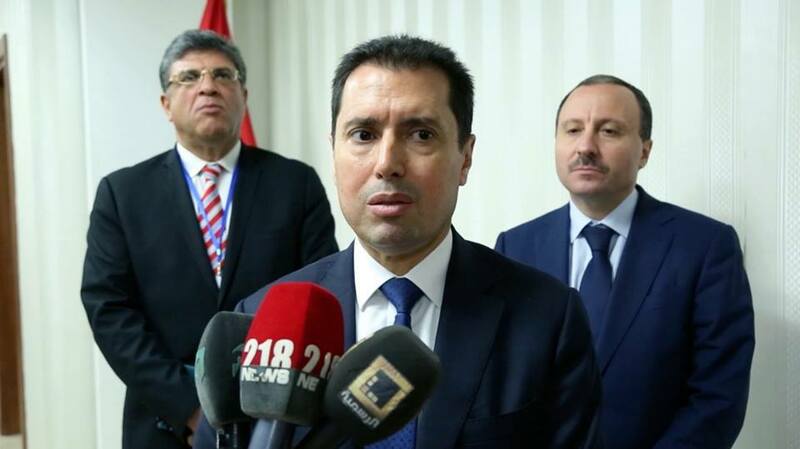 The Tunisian Minister highlighted the preparation work of the Libyan-Tunisian Joint Commission at the foreign ministerial level next week, paving the way for a summit that will bring together the heads of government of the two countries at the end of August. If Tunis Air does indeed resume flights to Libya at the end of this month, it will be the first foreign airliner to do so since flights were suspended in 2014. Both Jordanian and Egypt Air have been considering resuming flights, but nothing has materialized yet. Turkish Airlines had carried out an inspection of Tripoli’s Mitiga airport in May, but is yet to make an announcement. It will be recalled that while Libyan state-owned and privately-owned airliners are currently flying scheduled flights to Tunis, Istanbul. Alexandria, Amman and Khartoum, they are still banned from entering EU airspace. The same applies for EU carriers into Libya. Although the EU has banned flights between Libya and the EU, this does not cover charters. Prior to 2014, Afriqiyah and Libyan Airlines got around this by wet-leasing aircraft registered elsewhere. Afriqiyah had two Airbus A320s which are registered within the EU, in Lithuania. In May this year, as part of Mitiga airport’s efforts to improve its standards to those required by the EU, Italian company Techno Sky delivered a new mobile air traffic control tower which had arrived in Tripoli port from Italy to be installed at Mitiga. The tower is one of two that Techno Sky agreed to install at the airport in a multi-million euro deal signed in Tripoli at the end of March. A new fixed control tower is still to be built. Together they will significantly increase Mitiga’s capabilities. The March contract, due to be completed by the end of the year also includes training. Techno Sky is a subsidiary of Italian air navigation service company ENAV.